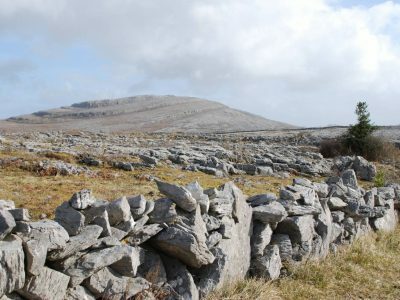 300 million years and a natural rock garden – but no green fields in the rich wilderness of the Burren. 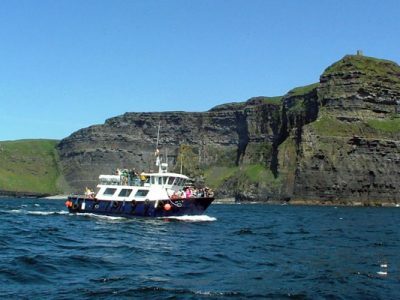 A cycle of the inexorable pressures of ice and inundation of the ocean over millions of years, the karst landscape of the Burren is home to a contradictory assortment of exotic plant life, uncommon nature and archaeological remains older than the Pyramids of Egypt. 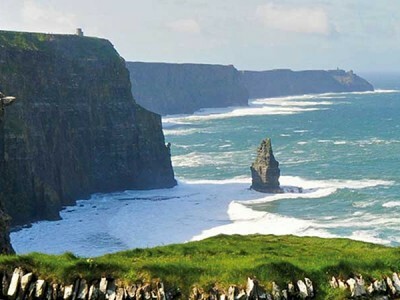 Begin a journey through time in this singularly remarkable environment and behold a medley of colour, magic and serenity in the natural heritage of the Burren County Clare, a stark contrast to Ireland’s “forty shades of green”. The unusual temperate climate coupled with the 350 million year old limestone landscape allows a rich and diverse array of flora and fauna from the Arctic to the Mediterranean to curiously flourish side-by-side among the cracks and crevices of this 250 square kilometre stone-plated plateau. Catch the sight of history carved by nature, enriched by mankind and preserved by time. You don’t need the eyes of a botanist or geologist to know that what you’re looking at is unique and brilliant. 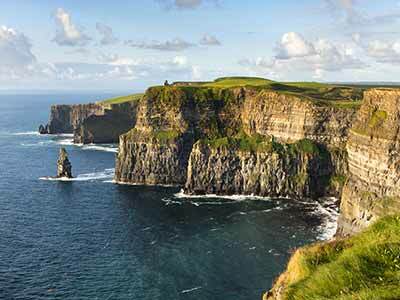 This complex environment not far from Galway Bay is one of the most popular scenic attractions in Ireland and a spectacle frozen in time. But it’s not just nature that has played a role here, an array of archaeological and historical sites show the footprints of humanity from the past 6000 years. Megalithic tombs, a ring fort and a Celtic high cross are just some of the testaments to the feats of societies strewn throughout the mountains and valleys, giving an insight into ancient civilisations as far back as the Stone Age. Among the exceptional flora, trickling streams, hazel scrub and pine forests are the homes of some unusual and distinct butterflies, moths and birds adding further to the vast diversity of life in this must-see legacy of natural history.